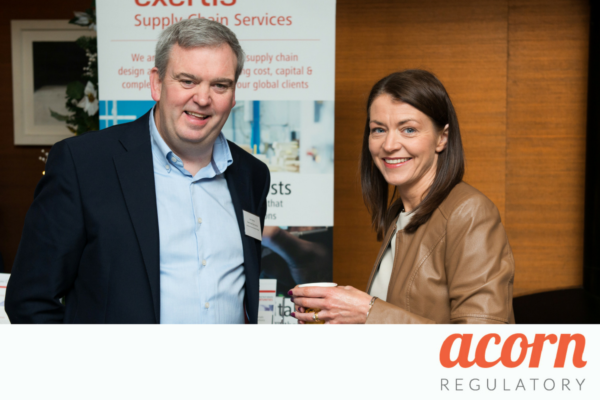 Acorn Regulatory participated in the inaugural Life Science Trends Conference in Cork earlier this week (November 15th 2017). The conference hosted a wide range of speakers from across the sector. 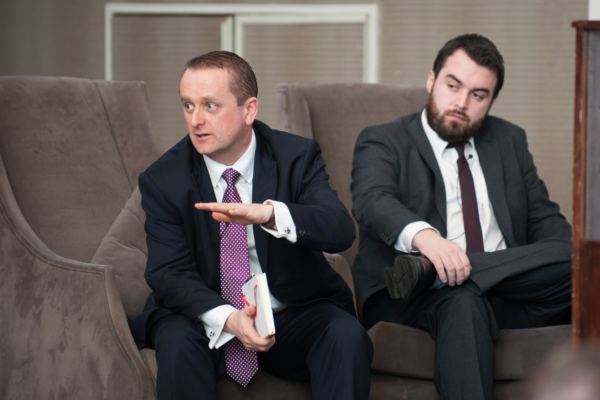 During the conference there were a range of issues discussed including Brexit, skills shortages and the need to attract more foreign direct investment (FDI) to the Munster region of Ireland. Matt Moran from Biopharmachemical Ireland (BPCI) an influential lobby group and a constituent group within the Irish Business & Employers Confederation open the conference by looking at the strength of the overall Irish life sciences sector. The organisation’s ‘Molecules Make A Difference‘ campaign is currently being used to highlight the importance of the sector to the overall Irish economy. Throughout the course of the day there was a wide range of speakers and panel discussions. 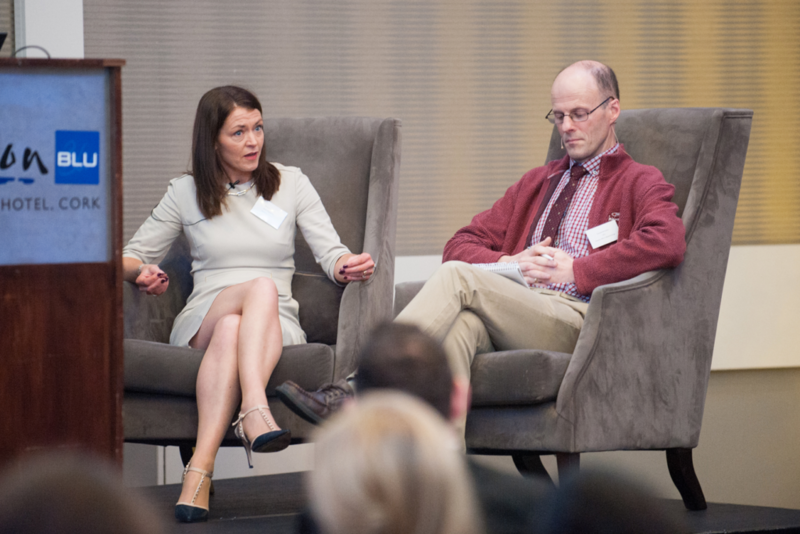 Acorn Regulatory Managing Director Dr. Gemma Robinson participated on the skills forum and discussed the need for the education sector to increase awareness of the range of roles available to those choosing to study science related subjects. She also discussed the shortage of suitably qualified staff that many companies experience. This was a theme that arose throughout the course of the conference from a number of contributors. Adele McIntyre from Real Staffing made a number of points about the importance of employers to cater for the growing number of Millennials in the workforce and to look to the factors that encouraged them to stay in or switch out of jobs. That growing demographic cohort’s wants and needs were discussed at length by the participating companies. Brian Cleary speaking at the Life Science Trends Conference in Cork in November 2017. Acorn Regulatory was also involved in another panel discussion on the day. Brian Cleary spoke on the issue of foreign direct investment alongside contributors from IBEC, Cork Chamber, KPMG and Enterprise Ireland. The issue of infrastructure deficiencies and Government plans were high on the agenda during this session as many people currently feel that delays to projects such as the M28 and the M20 motorways are impeding the ability of the Munster region to further prosper. It was noted by Brian Cleary during the sessions that the region has been particularly successful at winning and maintaining a high volume of life science jobs and he suggested that there was a need for Munster not to rest on its laurels and to chase further successes. The event brought together over 130 professionals, academics and policy makers from across the region and it is hoped that the Life Science Trends Conference will become an annual event in the industry’s calendar.